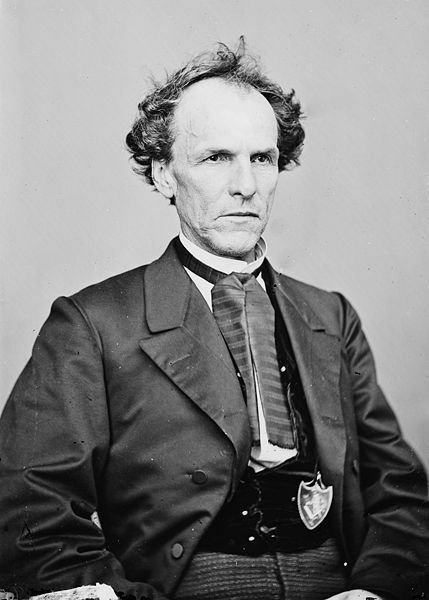 Description: In a supposed retaliation for a Union raid on Osceola, Missouri, Lt. Col.
William C. Quantrill led a force of about 300 to 400 partisans in an attack on the city of Lawrence, Kansas. His men killed civilians—men and boys—and destroyed many of the buildings. He held the town several hours and then withdrew. The “Lawrence Massacre” was, perhaps, the extreme example of the vicious Kansas-Missouri border warfare. 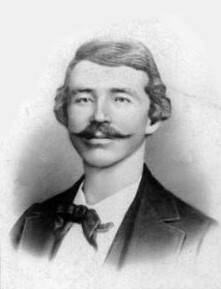 The Lawrence Massacre, also known as Quantrill's Raid, was a rebel guerrilla attack during the U.S. Civil War by Quantrill's Raiders, led by William Clarke Quantrill, on the pro-Union town of Lawrence, Kansas. 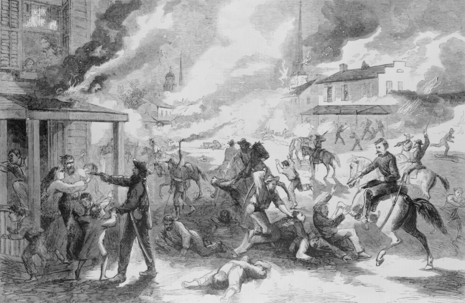 The attack on August 21, 1863, targeted Lawrence due to the town's long support of abolition and its reputation as a center for Redlegs and Jayhawkers, which were free-state militia and vigilante groups known for attacking and destroying farms and plantations in Missouri's pro-slavery western counties.